Marshmallow Frost is a beautiful snowy white polar bear 35in tall (almost 3 feet!) holding a plush red heart ‘I love you’ pillow (Will not be attached [sewed] to bear). She has the softest white fur in the world that makes her extra huggable, with beautiful dark eyes, a big, soft brown nose, a cute little tail in back, and black leathery paw pads on her large feet. She’s built just like real polar bears, with a rounded back and long snout. 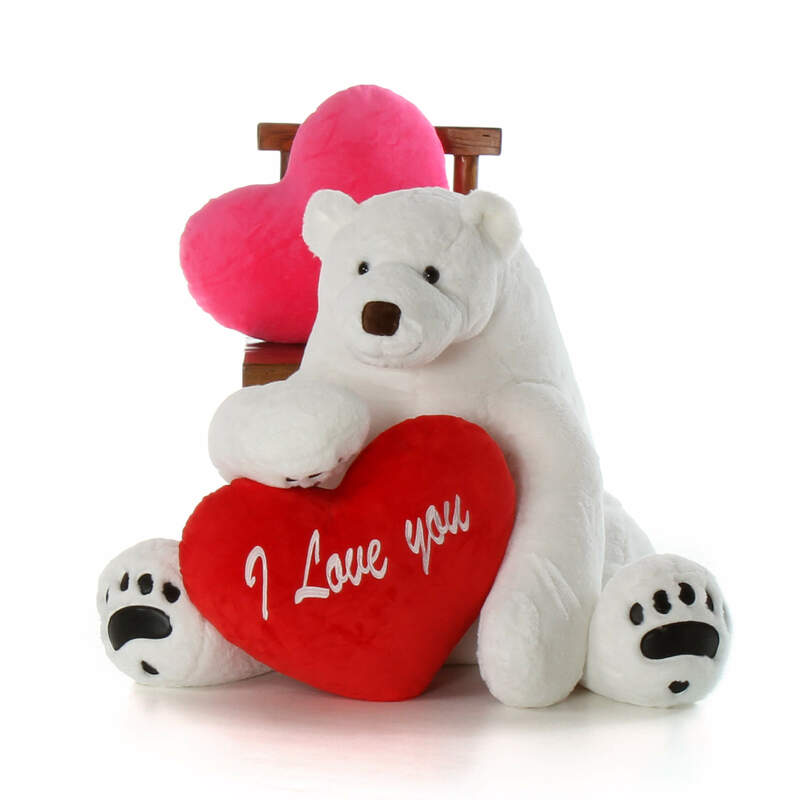 Someone you love will definitely love a super soft giant polar bear like Marshmallow Frost with her red heart pillow message of love.